Rome, 8 October 2018 – The recently released United Nations report on the State of Food Security and Nutrition (SOFI 2018) confirms that global hunger is raising for the third time in a row. At least 821 million people are going hungry in the world today. If no substantial and comprehensive action for change is taken now, the world will never reach the Sustainable Development Goal to end hunger in 2030. One of the key action for change is strengthening inclusiveness in global food policy discussions. The United Nations Committee on World Food Security (CFS) was reformed in 2009 for this purpose, which included the establishment of an autonomous Civil Society Mechanism (CSM), and is since the foremost inclusive international and intergovernmental platform on food security and nutrition on the global level. As the upcoming 45th plenary session of the CFS approaches, civil society is mobilizing globally towards Rome, Italy, to hold its CSM Annual Forum, October 13-14, in which global struggles for food and nutrition are linked to the local dimensions. 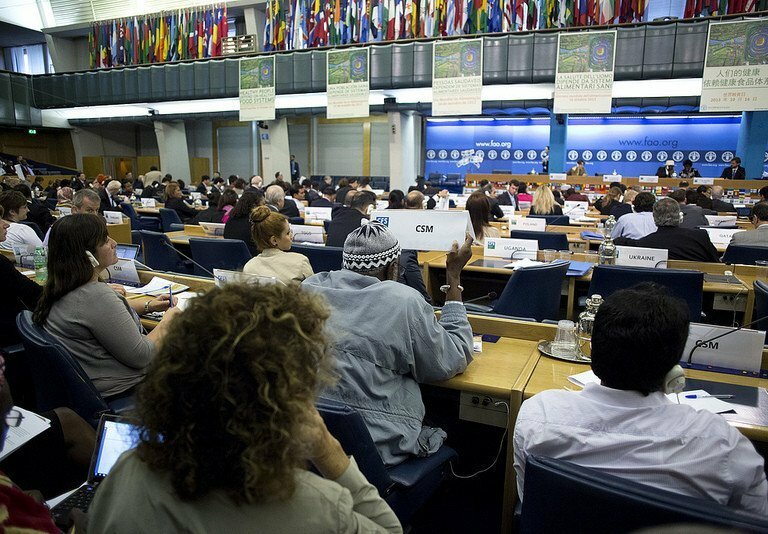 This forum also serves as a space to weave and consolidate positions and key messages to be delivered at the CFS Plenary Session, taking place at the FAO headquarters in October 15-19. A delegation of more than 300 participants from various civil society sectors is therefore expected to soon gather in Rome. The CSM Annual Forum brings together representatives from all CSM constituencies and all continents: smallholder and family farmers, pastoralists, fisherfolks, indigenous peoples, agricultural and food workers, landless, women, youth, consumers, urban food insecure and NGOs. Civil society has been making efforts to contribute to food policy debates for many years. After the reform of the CFS, in 2009, the Civil Society Mechanism was formed to facilitate civil society participation into the policy process of the CFS. This has made the CFS a unique experience in the UN, particularly for organizations of small-scale producers, which has allowed many of social movements concerns and proposals to be included into the decisions of the Member States. In addition to the forum and CFS plenary session, the CSM will hold a series of side events (see press kit for detailed calendar) to stress the importance of promoting, protecting and fulfilling human rights of all people, including the Right to Food. THE PRESS CONFERENCE WILL BE LIVESTREAMED.